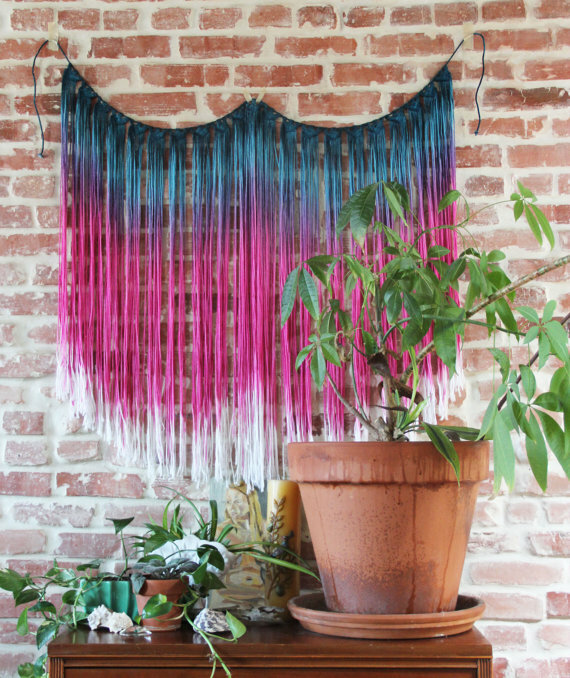 Handmade and dyed macrame wall, window, doorway, or anywhere hanging. Larger than my standard size Approx. 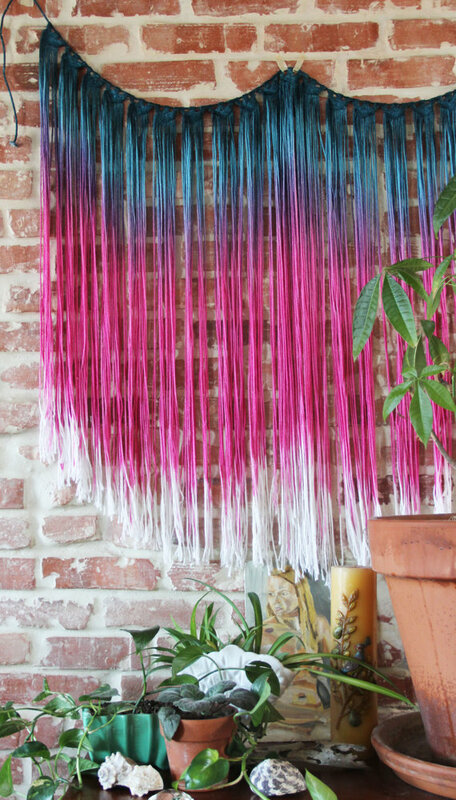 43”wide and 35” long.This wall hanging is hand dyed two colors, a denim blue & a fuchsia pink. 100% cotton yarn, weight 4, tied on a 1/8-Inch Cotton Cord .